To everything, there is a season. A time. A purpose. Nature and all earthly living beings follow cycles and rhythms. And, your body feels best when allowed to run on its own clock naturally, specifically when it comes to your menstrual cycle and your circadian rhythm. If you’re like many, modern-day conveniences are causing your sleep cycle to suffer. Because of your lack of regular sleep to rest and restore, your fertility may also be in danger. Maybe you work at a job requiring late or overnight shifts, or even a swing shift job. Or, you may suffer from a sleep disorder (sleep apnea, insomnia). Whatever the reason your natural wake-sleep cycle is disrupted, it could be causing a disruption in your fertility cycle as well. Can An Altered Circadian Rhythm Affect Fertility? In short yes. Unstable or disturbed circadian rhythms do disturb fertility. One study shows a decrease in fertility in mice when the night and day cycles were shifted. (2) Researchers conclude the results of the study clearly demonstrates circadian rhythm disruptions produce poor pregnancy outcomes in mammals and believe females with sleep disorders, shift work, or disturbed circadian rhythms are at a high risk for adverse pregnancy outcomes. It all starts with your lifestyle. Make sure you don’t stay up late often and you get enough sleep for your body (7-9 hours a night are recommended). Try to go to bed at the same time each night as much as possible. Also, try waking up at the same time every day in order to help your body settle into and maintain a regular circadian rhythm. If you are doing shift work, or have a sleep disorder and cannot make lifestyle adjustments to improve your circadian rhythm check in with your doctor or a sleep expert about treatments that may help. One helpful tip you may not have considered to prevent sleep-wake cycle issues is to control the type of light in your surrounding environment at night time. Exposure to blue light after the sun goes down reduces melatonin production and makes it harder for you to fall asleep. Get light bulbs that don’t emit blue light. They’re perfect to use once night falls to help you wind down. If you spend a lot of time on your phone at night, you can reduce blue light emissions in your smartphone settings and choose to wear blue light blocking shades. One other way to keep your circadian rhythm in tune is to create a regular before bed ritual. Make sure your routine helps you relax. Some habits to adopt can be meditation, flossing, or getting a relaxing neck and shoulder massage from your partner. Be creative! You know yourself better than anyone else and it’s up to you to create the nighttime routine that feels best to you. A regular before bedtime routine will subconsciously wire your body to understand that it is time for sleep. As an awesome side effect, you’ll even start to fall asleep more quickly every night. Another bonus tip…Cut out all light or sounds in your bedroom at night if you wake easily. (That means no tv!) Having minimal exposure to light and sound while in bed will improve your sleep quality, circadian rhythm, and ultimately, your fertility. It’s very clear. Better circadian rhythms equal more regularity with menstrual cycles and a better likelihood of successful conception. 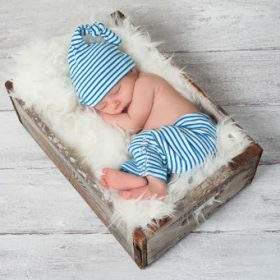 For more tips on other practices that can improve your sleep cycle and your fertility, check out this post. Suspect MTHFR may be an underlying issue affecting your fertility? Find out more about possible pregnancy complications caused by this gene mutation. Curious about the status of your MTHFR gene and how it may be affecting you in all areas of your life? Get your home test from Ancestry and receive your own detailed genomic report. Kennaway, D. J., Boden, M. J., & Varcoe, T. J. (2012). 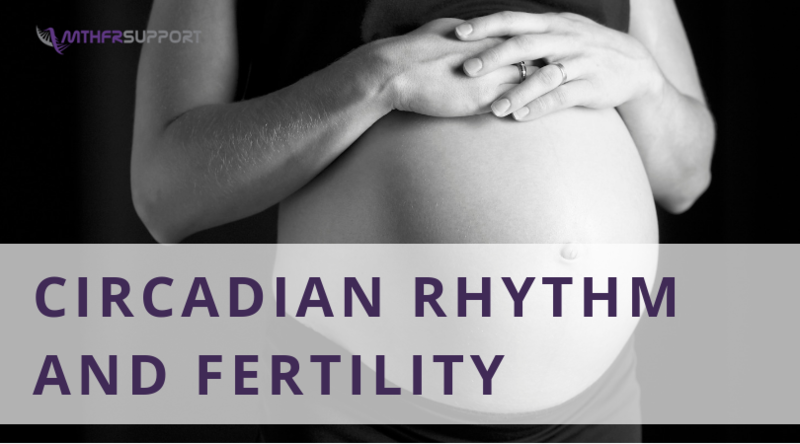 Circadian rhythms and fertility. Molecular and cellular endocrinology, 349(1), 56-61. Lawson, C. C., Whelan, E. A., Hibert, E. N. L., Spiegelman, D., Schernhammer, E. S., & Rich-Edwards, J. W. (2011). Rotating shift work and menstrual cycle characteristics. Epidemiology (Cambridge, Mass. ), 22(3), 305. This entry was posted in development, Preconception, Pregnancy. Bookmark the permalink.